Life has enough dessert-like temptations without you adding sugar to your teacup as well. If you have a sugary habit in your mug, you might be wondering how to make tea taste better without sugar. There are lots of ways to switch up your favorite cup to taste delicious without added sugar. If you are adding sugar to your tea because you don’t like the taste without it, consider evaluating the quality of your tea leaves. Loose leaf teas have large or whole leaves in their dry form, meaning they are less processed and put you in closer contact to the natural, good taste of the tea. Many teas in pre-packaged tea bags are made with cut or crushed leaves that can result in less than stellar taste. 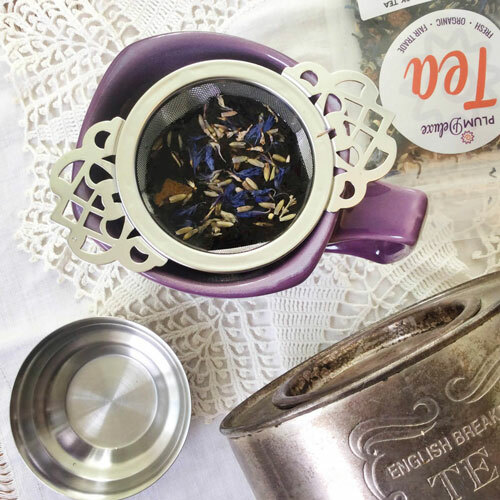 If you don’t want to give up your tea bag brewing style, you can at least add loose leaf tea to your own tea bags for convenient brewing. To make the most of these large tea leaves, brew them in an infuser, the larger the better. I like this Victorian infuser or the Celestial infuser, both of which fit into almost any mug and give the tea leaves lots of space. Brewing tea packed into a small space like a small tea bag or tea ball constricts the leaves and likewise constricts the flavors it can produce. Brewing in an in-mug infuser will give the tea plenty of room to soak in the water and unfurl its shape, which is one recommendation for how to make tea taste better without sugar. One of the easiest ways to answer the question of how to make tea taste better without sugar is to follow the recommended steeping instructions for your tea leaves. This is especially important for more delicate teas. The wrong temperature can wreak havoc with fruity oolongs like Peaches and Cream, sweet green teas, and buttery white teas like Candlelight Blend. Make it easy to control the temperature of your hot water with a variable temperature electric kettle. Or avoid the hot temperatures and risk of scalding the tea leaves altogether by cold brewing instead. Starting cold and staying cold can help the teas open up with flavors you may have missed in previous brewings. When brewing black teas, be careful not to over-steep to maximize their natural figgy-sweet tones and avoid bitterness. If you can’t help but want to add something extra to your cup of tea to change its taste, consider additions other than sugar. 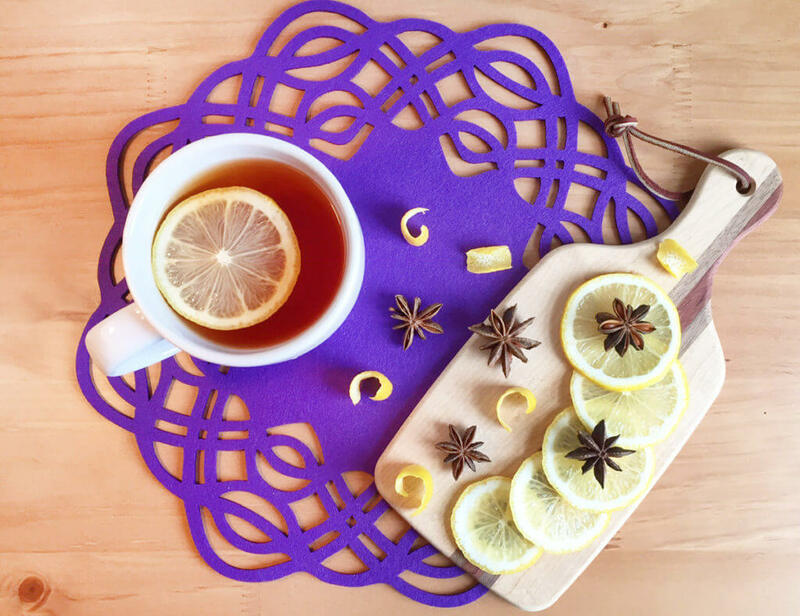 Add a slice of lemon to your favorite herbal tea, like Cuddletime, or your favorite Earl Grey, like Mindful Morning, to complement the bright notes and natural tartness of the tea. 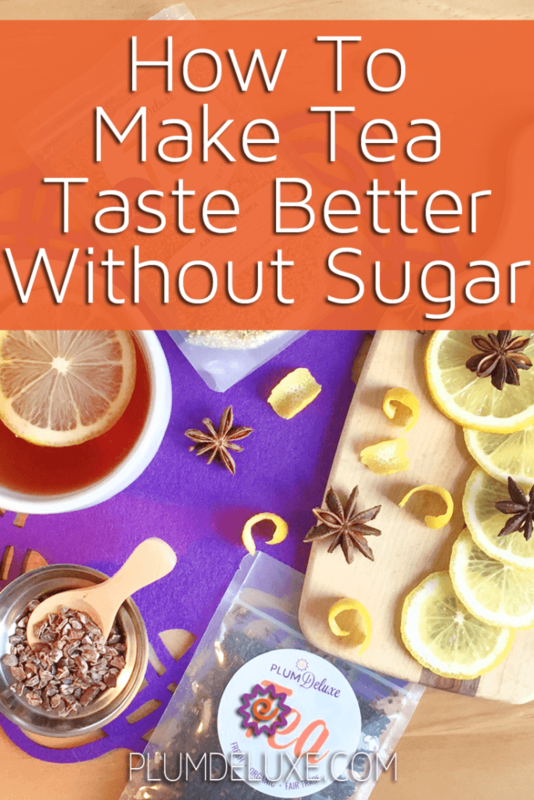 If you still want a sweet taste but want to know how to make tea taste better without sugar, consider natural sweeteners like licorice root or anise. 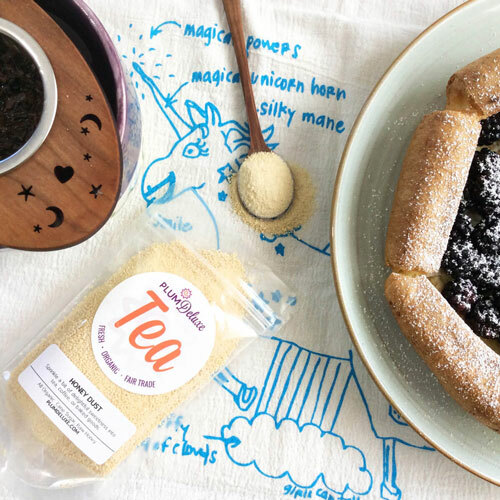 Look for blends like Rainy Day Pu-erh that contain those ingredients to help satisfy your sweet tooth. 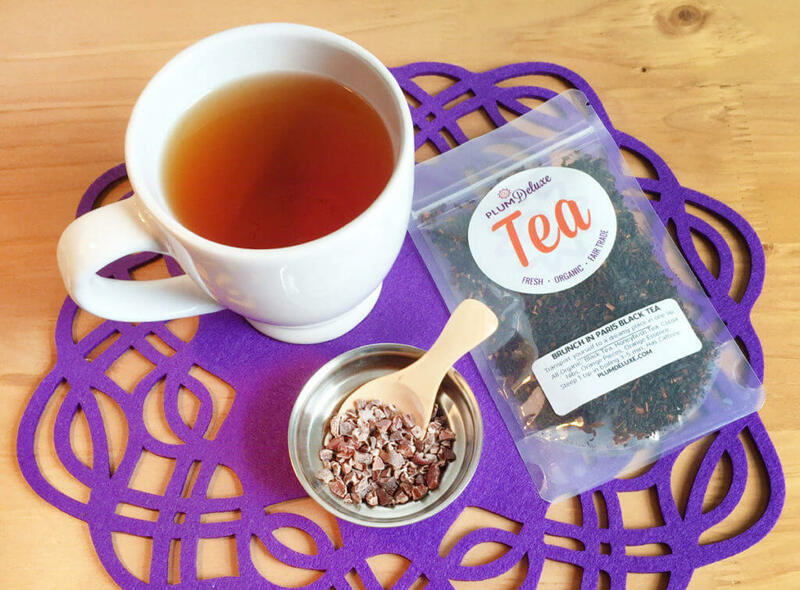 Get a dessert-like flavor without added sugar by trying certain types of chocolate teas, such as a blend that contains cacao nibs like Brunch in Paris. Add milk to give your tea more body and creaminess. Unsweetened milk alternatives like almond milk allow the flavor of the tea to shine through without being overshadowed by sugar. 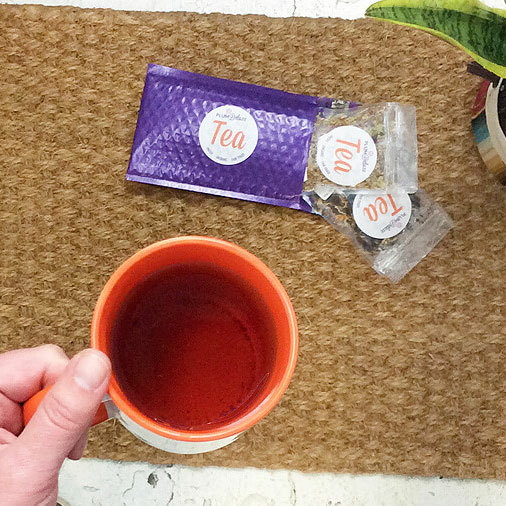 Save your sweet tooth for a side of tea cakes and keep the sugar out of your mug. 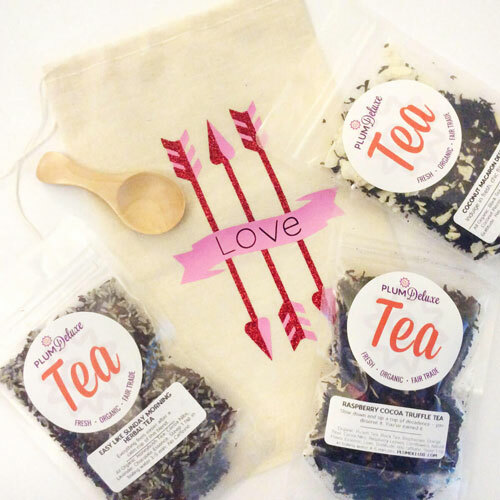 Now that you have learned how to make tea taste better without sugar, you know that there are numerous ways to bring out the best flavor in your cup and a lot to love about your favorite tea.